Whether you want to lift your truck using your stock wheels or you want to add a set of off road monsters, MaxTrac 7" basic lift kits add the extra clearance and look you're trying to achieve! These lift kits are simple and effective, delivering true additional clearance while maintaining a factory like ride. 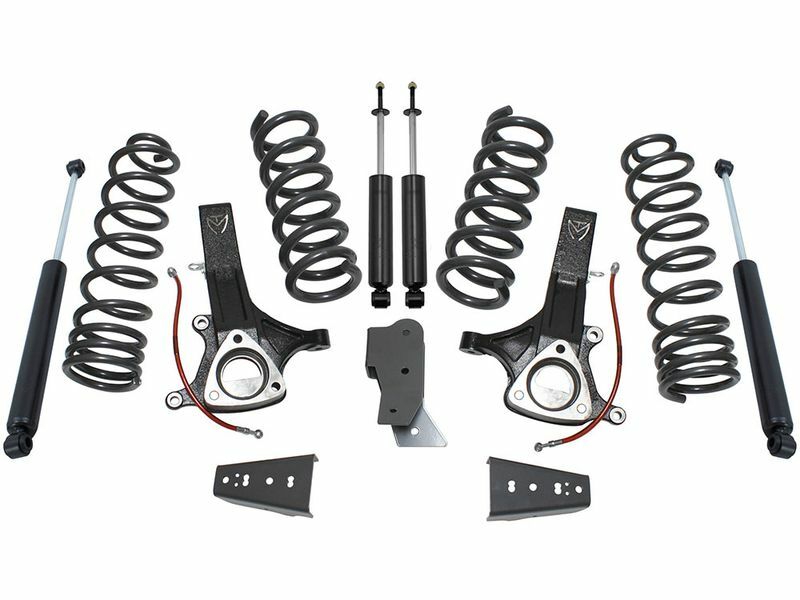 The upgraded suspension components that make up these kits are designed to take the place of your factory parts and install in their place. This makes installation quick and easy without the need for drilling or modifying your factory suspension. Lift your truck right and order a high quality MaxTrac 7" basic lift kit today! All components come backed by a limited lifetime warranty against defects in material and workmanship. Since MaxTrac suspension components are designed to replace or enhance your existing suspension, there is no cutting or other modifications required to ensure a proper fit. You could install your own suspension, although we do recommend having it professional installed. MaxTrac recommends having your alignment checked after installing new suspension components and adjusting your headlights if you have altered your ride height.